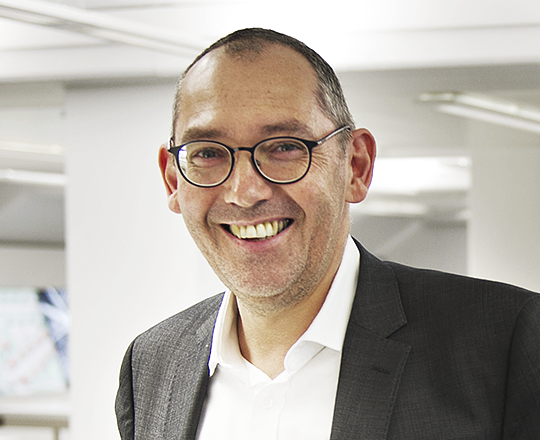 Rafael Ball has been Director of ETH Library since 1 March 2015. He holds doctorates in Biology and Science History and studied Biology, Slavonic Studies and Philosophy at the Universities of Mainz, Warsaw and Moscow. He completed a two-year postgraduate qualification as a scientific librarian in 1996 and was head of user services at the Central Library of the Forschungszentrum Jülich from 1996 to 1998, which he ran from 1998 until he was appointed Director of the University Library of Regensburg from 2008 to 2015. Rafael Ball has written and edited numerous publications, and is a dedicated speaker and lecturer at various universities. His main work and research interests are the library of the future, science communication and the role of the printed book in the digital age. and various other professional associations.